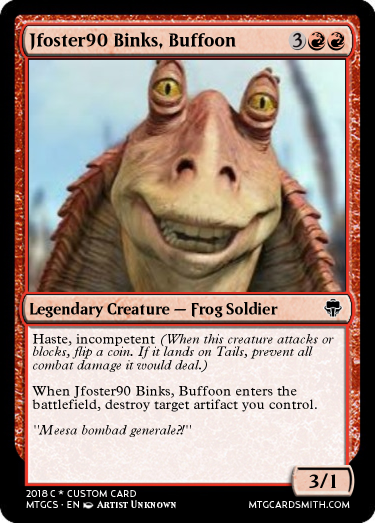 I would like to see people make cards based around Star Wars. It can be anything from characters from star Wars to vehicles, force lighting anything relayed and it can be from the movies or the cartoons. 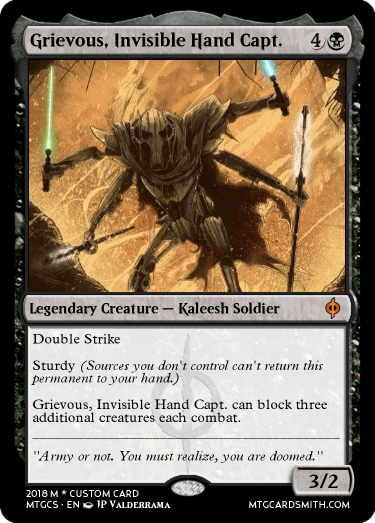 As an additional prize the best star wars concept flavor text will get a chance to win a free month premium. I kinda loooove Star Wars tbh. So here's a card I made. @Jfoster90 has a great contest here, he need entries for it to be a contest! 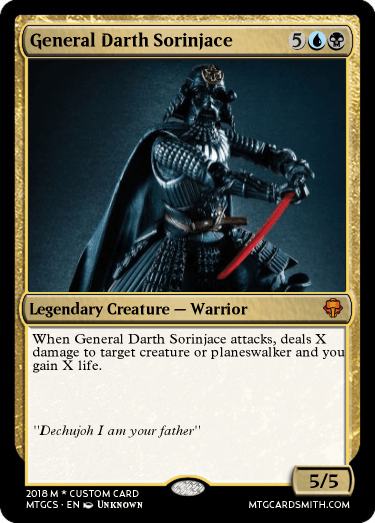 Submit a card to his Star Wars contest! 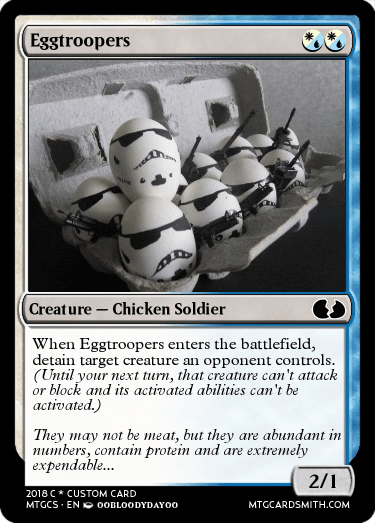 That egg would only be cracked if they arent shooting at other eggs. Dont worry Eggtroopers can shoot accurately. I guess it would make sense for them to shoot egg-ceptionally! Have you never done the star wars draft? Ok so a midcontest thanks to the current contestants. @Jfoster90, I don't think I am last; you ordered us in the order in which we submitted entries. @bigbadbooknerd your links aren't working.